We have been wild about watermelon this week at simply sprout. 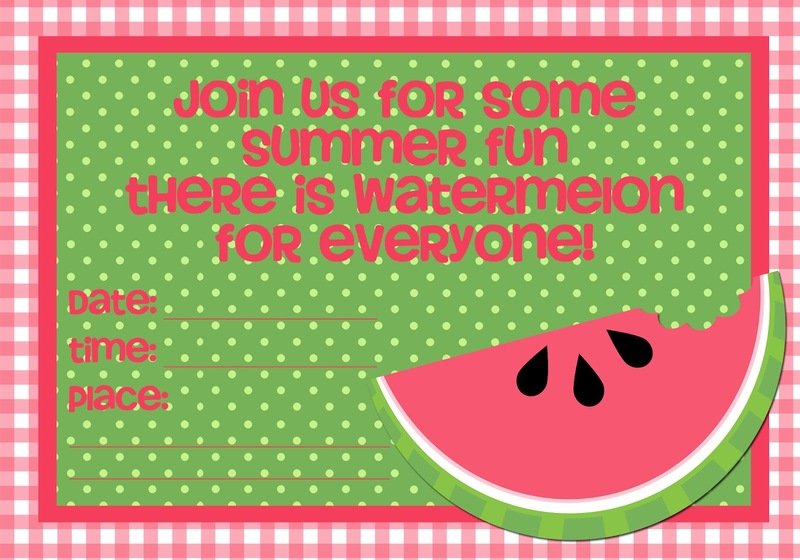 As we are about to officially welcome in summer this week what better way to have some backyard fun than with a watermelon party! 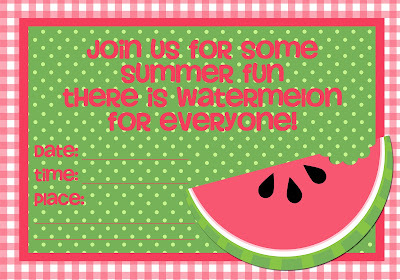 Invite a few friends over, turn on the sprinklers, break out the bubbles, slice up the watermelon and serve up some fun! Just save, print and send! Yummy watermelon cupcakes are great for little hands, just make your favorite cake recipe. Divide batter into two bowls dye one green with food coloring and one red with food coloring. Add a little green batter into the cupcake liners, then add a little red, sprinkle a few chocolate chips into the red batter. Bake according to package instructions. These sweet treats are so yummy with or without frosting! If you are looking for a sweet frozen all natural treat for those hot summer days invest a few dollars into some Ice pop molds they come in all shapes and sizes. The recipe is simple, take small chunks of watermelon and put into the blender, puree into liquid form. Fill ice pop molds about 3/4 of the way full. Slowly add a few blueberries into the molds. Put in freezer for 20 min. Take chunks of honey dew melon and blend them up the same way, I added a drop of green food coloring to mine to make it a little more green. Then, slowly add it on top of the partially frozen pops. Freeze overnight. My kids love making ice pops in the summer. They come up with all sorts of crazy blendable ideas and combinations. I love them because they are healthy all natural and fun to make...not to mention pretty inexpensive!